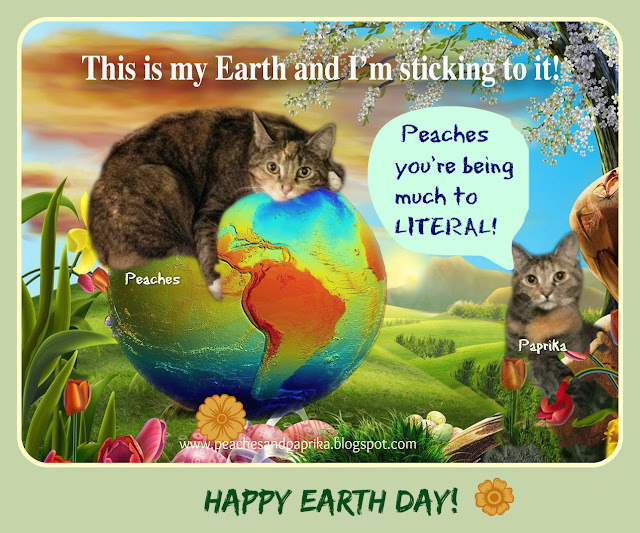 Peaches and Paprika: Happy Earth Day from all of us! I couldn't wait for this day so I could hug the earth! 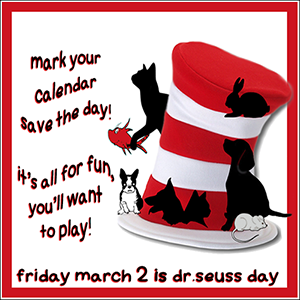 However Carol the human tells me that's not what this day is about, it's to support our environmental efforts around the world. Particularly important this year! And of course Paprika tells me I'm being too literal. But she ALWAYS has something sarcastic like that to say! Be that as it may, we have a beautiful earth and we three hope to keep it and its amazing creatures forever and ever. This day is celebrated in 19 countries! 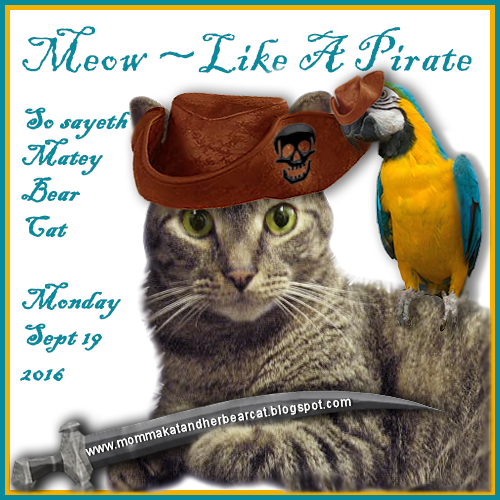 We are joining Athena and Marie's Caturday Art hop and Bionic Basil's Friday hop today to celebrate here. We love how you Incorporated Earth Day into Caturday Art. And we think the Earth probably needs a few hugs. We think you're doing a purrfect job hugging the Earth, Peaches. 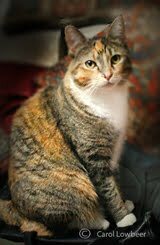 And of course we think you'd look adorable taking your turn at it, too, Paprika. Happy Earth Day! A very lovely graphic. Happy Earth Day and hold on tight! The Earth needs the help of all of us since our EPA is slowly being destroyed and eliminated. Sad. Happy Earth Day. We think the Earth can use all the hugs she can get! Happy earth day. Give it a good hug! 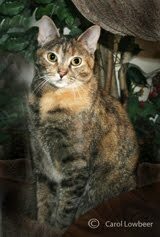 You keep hugging the earth Peaches...Oh and Paprika, you are super cute as well.